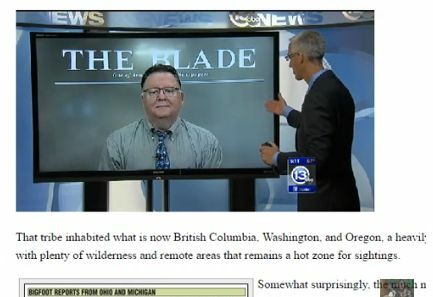 In this video, Henry May brings us a news report out of the Squatchy state of Ohio. It's always interesting to hear news reporters talk about Bigfoot. They usually poke fun at the subject, so it's nice when something informative is discussed. Henry will be making the pilgrimage to Ohio next month for the annual Ohio Bigfoot Conference, so we look forward to what he has to report on while he is there.